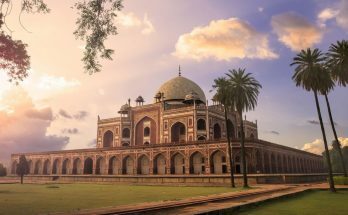 While there are plenty of top-notch tourist destinations in the world, Delhi is one such destination that you cannot even think about giving it a miss. Delhi, a potpourri of old and new or traditional and modern, has long been witnessing a major chunk of holidaymakers from every nook and corner of the world. 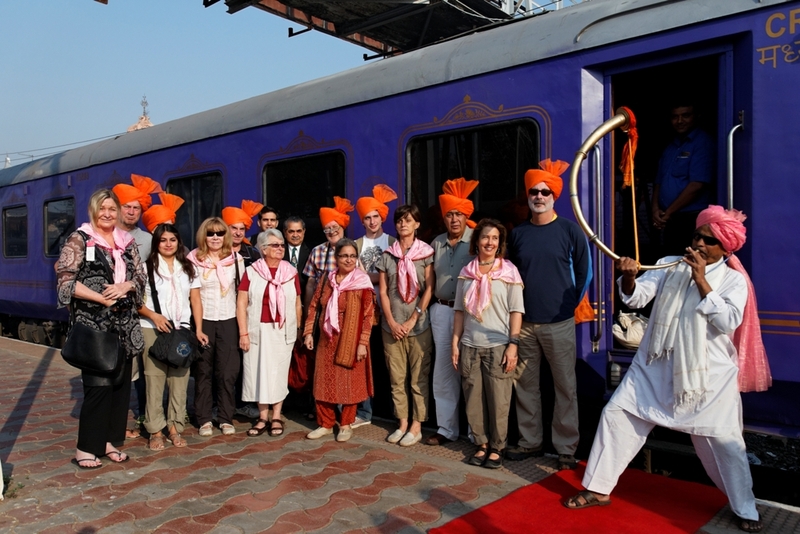 Delhi, the pride and not to mention the capital of India, is literally brimming with must visit tourist attractions. With a plethora of things to see and do, the capital takes an immense pride in boasting about the Red Fort – one of the most important forts catching the fancy of every tourist doing India for the first or third time. 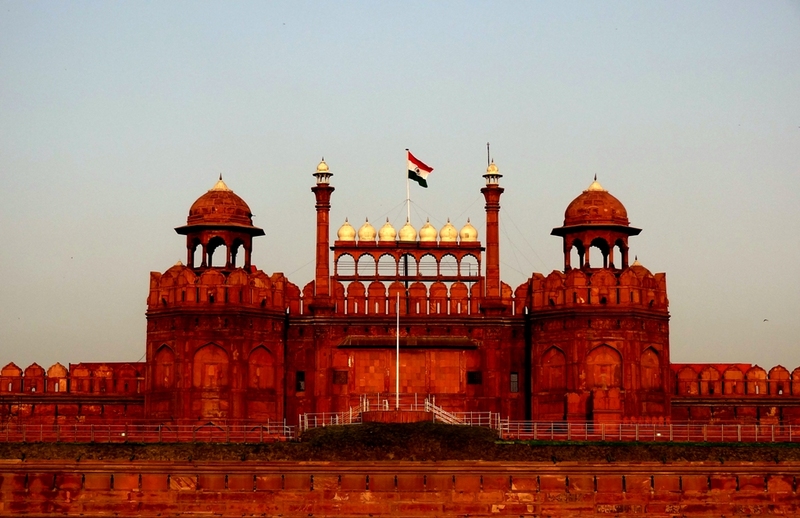 We’re quite sure you may have once or twice but there are some interesting facts about the massive and historic Red Fort that you may be unaware of. Let’s find out what they are. 1. The Red Fort was Actually White! When the fort was built by the Mughal Emperor Shah Jahan in 1648, it was white in colour – built with sandstones. Not only did the name, but the colour of the fort was also changed to red. All of it took place at the behest of the British. 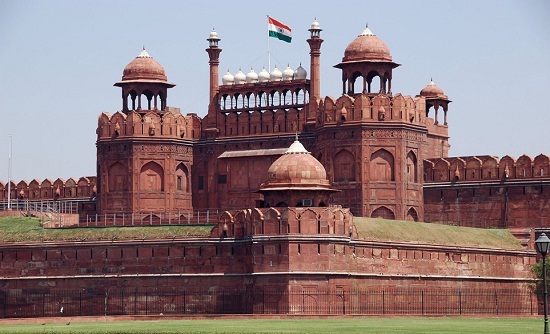 The Red Fort was originally made of lime stones. It was when the white stone began chipping off, the British had to paint it with red. Do you know that the Red Fort was not always known by its current name? It was originally known as “Qila-e-Mubarak”. This name simplifies to “The Blessed Fort”. According to sources Shah Jahan built this fort when he made a decision to shift his capital from Agra to Delhi. 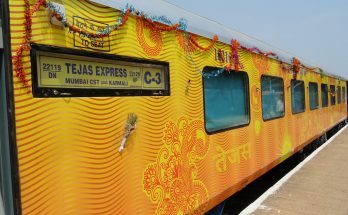 There’s no denying machinery and constructed used to be limited in those days, or shall we say, during the reign of Shah Jahan – the grandson of Akbar the Great. 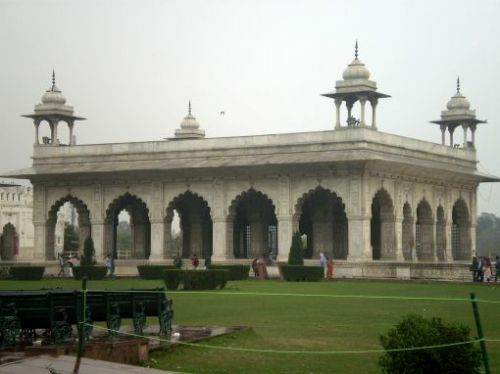 It took 10 long years by Ustad Hamid and Ustad Ahmed – the pioneering architects during the time who began the construction in 1638 and completed it a decade later. 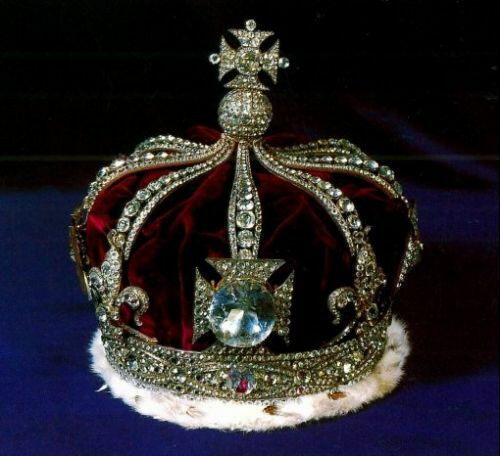 Many would not know that the Kohinoor diamond was actually a part of the royal throne of Shah Jahan – located in the Diwani-i-Khas. Years later the priceless stone was robbed by Nadir Shah (the ‘Persian Napoleon’). Studded with valuable stones like emeralds, pearls, diamonds and rubies, the throne was made of solid gold. At present, the largest diamond in the world is adorning the crown of England’s queen.Well, there is no throne now neither there is the Kohinoor diamond, but you will be glad to soak yourself in several stories that will make your Delhi tour a memorable affair to remember. The Red Fort (well-known for its breathtaking architecture) is compact with a multitude of palaces used once by a number of Mughal rulers. Rang Mahal, one of the most remarkable palaces in the fort, literally means “palace of colours”. This palace was used by consorts of emperors and their maids. 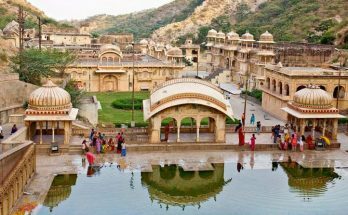 Khas Mahal, the stunning personal palace of emperor, is situated near Rang Mahal. It allowed the emperor to pay a visit to his queens anytime he wants. Except the princesses and queens, nobody had the permission to visit Khas Mahal. 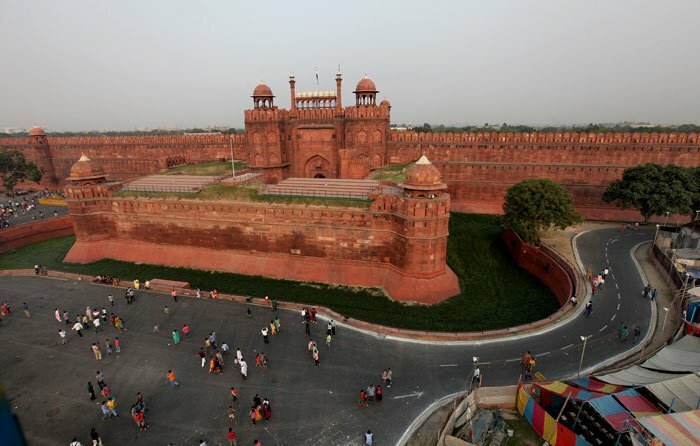 Two main gates at the magnificent Red Fort include the Delhi Gate and the Lahore Gate. Lahore Gate got its name as it opens towards Lahore. This is because India and Pakistan used to be one country at one time. On every Independence Day, the Prime Minister of India hoists the National Flag from the ramparts of Lahore Gate.Although the Delhi Gate looks as same as the Lahore Gate, it used to serve as the entrance gate for the public to the fort. Spread over 256 acres, the majestic Red Fort is built in the octagonal shape. When viewed from the top, the mind-blowing architectural grandeur of this fort reveals its octagonal shape. The Red Fort has been listed as a World Heritage Site by UNESCO in 2007 for its historical as well as cultural importance. India takes a great sense of pride in its architectural wonder we all know by the name of the “Red Fort”. The last Mughal Emperor, Bahadur Shah Zafar, became a symbol of the 1857 rebellion against the British empire. He was tried by the British for treason in his own home – the Red Fort. The Trial was held in Diwan-i-Khas surrounded by the British court when they found the emperor guilty because of which he was stripped off his title. Later he was exiled to Rangoon (now called Myanmar). After having acquired the Red Fort, British went on a destroying spree. They continued to demolish several parts of the fort. Truth be told, most of the valuables were sold. Nothing remained in the massive and splendid fort that was once the residence of the mughal emperor. 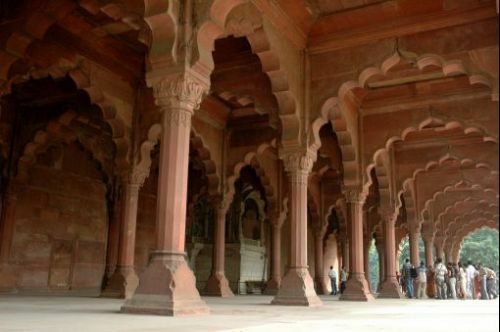 Red Fort, well-known for serving the abode for endless Mughal Emperors for more than 200 years, has extensively been a means of accommodation. Moreover, it has greatly served as a centre not only for political but social affairs as well. Having stood the tests of time, Red Fort is a must visit attraction that will take you back in time. Certainly! Truth be told, this fort bears the testimony to a number of events through past times. Although the British caused extensive damage to the Red Fort in various forms, authorities have somehow managed to preserve its leftovers.